On the latest episode of SmackDown Live, Shane McMahon announced that Baron Corbin and Shinsuke Nakamura would have a match at the upcoming WWE Battleground pay-per-view. A feud between Nakamura and Corbin has been in the works ever since the Lone Wold won the Money In The Bank match. AJ Styles and Nakamura were ever so close to winning the briefcase, but they were pushed off the ladder by The Lone Wolf. Corbin also attacked the King of Strong Style during a backstage segment on the July 05, 2017, episode of SmackDown Live. A match between Nakamura and Corbin was expected to take place on the latest episode of SmackDown Live, but it was called off after both men engaged in a violent brawl. 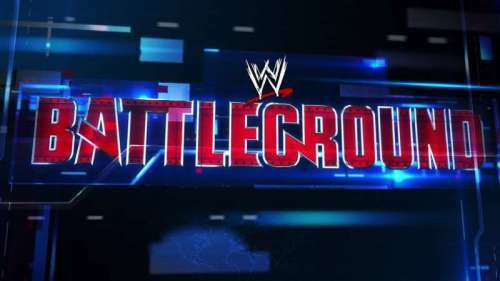 The Battleground pay-per-view event is scheduled to take place on Sunday, 23rd July 2017 at the Wells Fargo Center in Philadelphia, Pennsylvania. It will be aired live on the WWE Network and a few traditional pay-per-view outlets. Corbin and Nakamura are two of SmackDown Live’s up and coming Superstars. Since the Lone Wolf has the Money in the Bank Briefcase and age on his side, he can afford to take a loss at Battleground. WWE Rumors: Surprising change coming to Kurt Angle's WrestleMania 35 match against Baron Corbin?